Save money and eat well this week by creating a meal plan. 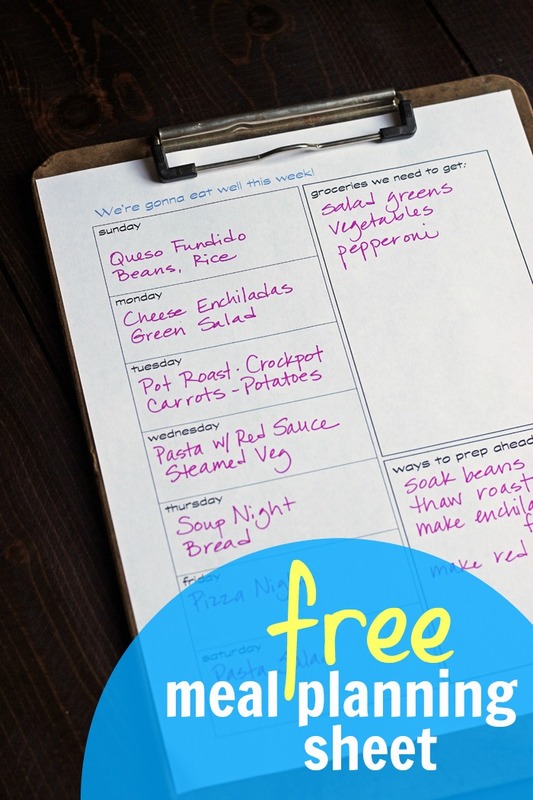 To help you be really organized, grab this free printable meal planning sheet. One sure-fire way to save money is to get a little organized. 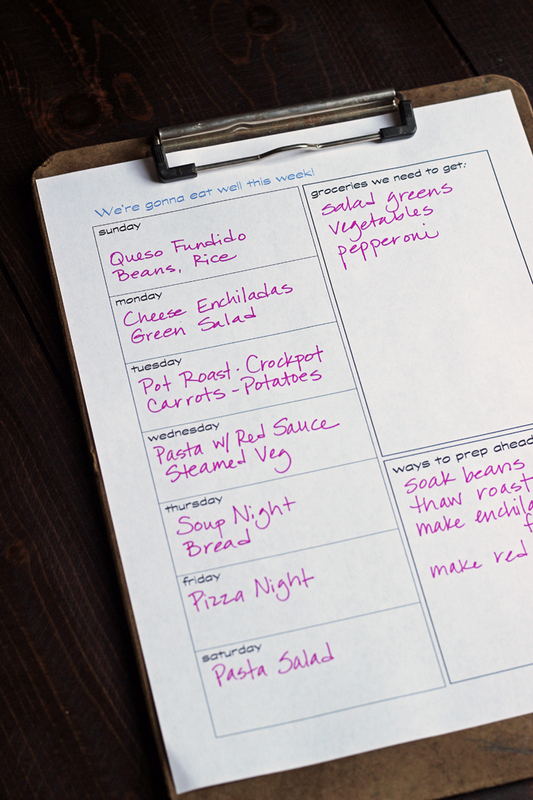 It doesn’t cost you anything to think through the week, plan out some meals, and do some grocery shopping. Through a little careful planning, you can use up what’s on hand, avoid impulse buys and hangry shopping, and make sure that you thaw or prep ingredients that you want to use in this week’s meals. Ever found yourself with a freezer of rock hard meat and nothing to cook for dinner? Yeah, that happens to the best of us. But, it doesn’t have to be the norm! Get a little organized this week so that you can eat well and stay on budget. Grab this free printable meal planning sheet over at Life as Mom. Get on your game with this free meal planning sheet! I designed this meal planning sheet last fall and shared it my Life as Mom readers, but I might have neglected to share it with you. Sorry! This meal planning sheet has saved my bacon on more than one occasion. So much so, that I’ve also worked a version of it into my household planner. Having a meal plan really is the first step toward saving money on food. When we shop willy-nilly, particularly when we’re hungry, we spend more. Once we get home, we have bags of randomness that may or may not work out into great meals. A meal plan and a grocery list can help you with this tremendously. Proof positive: this past week, I hosted my two nieces while my sister was out of town. 8 kids to feed? In summer? You bet your booty I needed a meal plan. I got very detailed, right down to snacks and who was helping me in the kitchen. Our mealtimes went really smoothly — even though we didn’t follow it to the letter. And except for my husband grabbing milk, eggs, and bread at Costco, we avoided the grocery store all week long. That’s what I call #winning. Do you use a meal planning sheet?